Property investors looking to broaden their horizons in South Africa take note: The city of Durban has just been named in Mercer’s 18th annual Quality of Living survey as the best place to live on the African continent. Mercer is a global consulting leader in talent, health, retirement and investments and it conducts its annual survey primarily to enable multinational companies and other employers to compensate employees fairly when placing them on international assignments. However, it is also a good indicator for municipalities looking to benchmark their cities in global terms, as it uses many criteria, such as education, healthcare, political stability, prevalence of crime, personal safety, recreation and transport to come up with the overall quality of life rankings in 230 cities around the world. 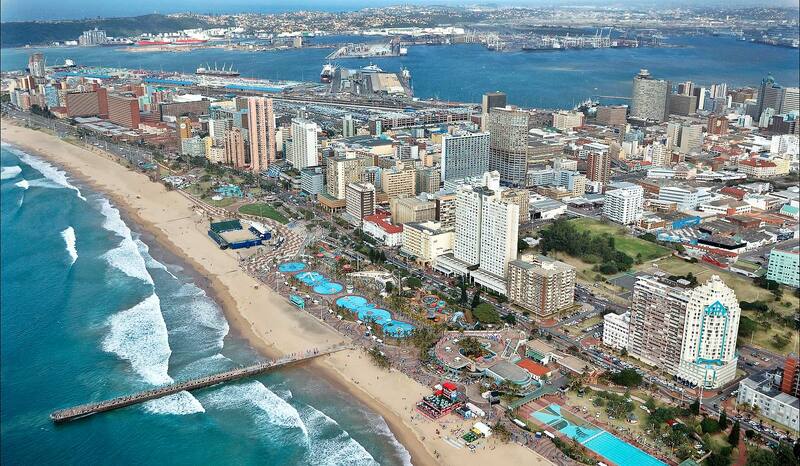 And in the 2016 rankings just released, Durban at number 85 achieved the highest ranking in Africa, ahead of Cape Town (92) and Johannesburg (95). This follows the news late last year that Durban had won the bid for the 2022 Commonwealth Games – and would become the first-ever African city to host this global event featuring athletes from more than 50 countries. Commonwealth Games Federation vice-president and SA Olympic Committee president Gideon Sam noted at the time that Durban already had a track record of successfully hosting leading sporting events and had invested R3,4bn in sporting infrastructure since 2009 to become a premier sporting destination. Even more important, though, was the intention to synchronise the preparation for the Games with the city’s own urban regeneration and youth empowerment plans, with the Games’ Village, for example, being converted into affordable housing after the event. Bid chief executive Mark Alexander added that the end goal of these ongoing and accelerating plans was to ensure that by 2030, eThekwini or Greater Durban would enjoy the reputation of being Africa’s “most caring and liveable city" – a goal that the new Mercer rating indicates may be well within reach. What is more, although the Games are still more than six years away, international companies are already laying plans to get a slice of the action, which is expected to pump some R20bn into the SA economy. Qatar Airways, for example, has just announced the introduction of direct flights between Doha and Durban several times a week, while the Malaysian property giant UEM Sunrise, joint owner of the Durban Point Development Company, has restarted several multimillion-rand developments in the Point Waterfront area that have been stalled since the 2008 recession. These include several top quality hotels, a 33-storey skyscraper, residential apartments, office parks and shopping malls and city authorities say they are intended to augment others including the nearby uShaka Marine World, Moses Mabhida Stadium, Inkosi Albert Luthuli International Convention Centre and the beach promenade to position Durban as "Africa’s playground". At the same time, South African companies are set to spend at least 10bn over the next few years on projects in and around the city, including a new logistics park on the site of the old Clairwood racecourse, a huge new mixed-use development on the site of the old Virginia airport and the recently launched Oceans Umhlanga residential, retail and tourism development. And the city itself is currently proceeding with a five-year upgrade programme that includes the transformation of all its main beaches, the construction of a world-class sports academy and the revamp of the cruise terminal in the harbour – as well as the completion of a massive new public transport network. In short, Durban is well on its way to becoming much, much more than a great place to retire or go for a holiday, and property prices are already starting to rise as shrewd investors spot the potential in this overhaul. If you would like to join them and take a closer look at the top local markets and property opportunities, the Chas Everitt International real estate experts in Durban would love to assist you. Visit www.chaseveritt.co.za to see our extensive range of Durban listings.